Epic Planks is a small company based in Grand Rapids, Michigan, and you can read up on some of the details of the company in Will Brown’s preview of the Epic Planks Ripper. Epic Planks’ commitment to advancing their skis through feedback not only from team athletes but also through customers is, in my book, something to be commended for. The Crop Duster is a big powder ski, and one of Epic Planks original designs that was created with heavy input from professional guides at cat and heli ski operations across western North America. As mentioned in our preview of Crop Duster, the ski is pressed with a hefty amount of both tip and tail rocker, is completely flat underfoot, and uses a full-length sidecut. The overall shape reminds me somewhat of the O.G. K2 Hellbent. The ski has a poplar core, vertical sidewalls, and is wrapped in some pretty cool looking graphics in my opinion. Epic Planks might be a relatively new company, but the pair of Crop Dusters I received exemplified a finished product any company would be proud of: the bases were flat, they had a consistent tune, and all junctions of materials were smooth and clean. 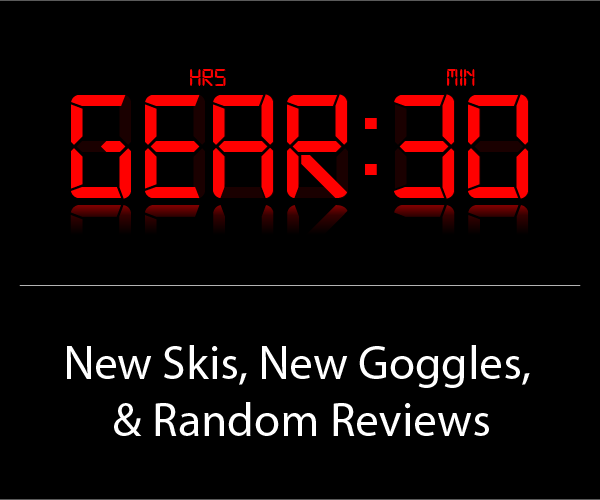 There is no question that this ski is a powder ski, so most of this review will be a thorough description of how the ski handles in the soft snow department. Just a glance at the Crop Duster’s dimensions and rocker profile inspires daydreams of floating through any depth or density of powder. 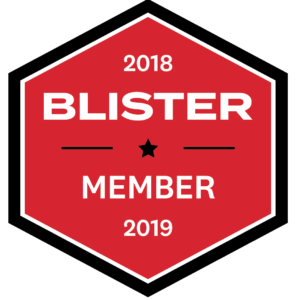 And my experience on the ski confirms this, with the Crop Duster easily providing more than enough buoyancy on the deepest pow days of the season at Alta. Jason Hutchins on the Epic Planks Crop Duster, Alta Ski Area. 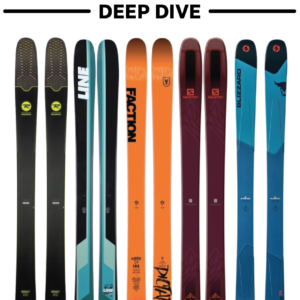 What I feel separates these skis from many other powder planks, however, is the flex pattern and the ways it retains maneuverability and user friendliness while providing a unique feel. Though I referenced the overall shape being reminiscent of the O.G. Hellbent, the respective flex pattern of the two skis differentiate their intended market. Whereas the Hellbent and most powder-oriented sticks are basically super soft throughout, the Crop Duster’s flex from the rear binding piece forward is much stiffer than I would have expected. While it definitely doesn’t come close to being as stiff as big-mountain chargers, for a fat pow ski, there is some meat there. The tails of the Crop Duster, in great contrast, are quite soft, which allow the tails to sink just enough for the ski to achieve an optimal amount of flotation and support. This is very different from skis with highly tapered tails like the Rossignol S7, that have tails that are easy to maneuver, but in the end (1) provide very little support, (2) are exceptionally directional, and (3) are easy to bury out of sight. 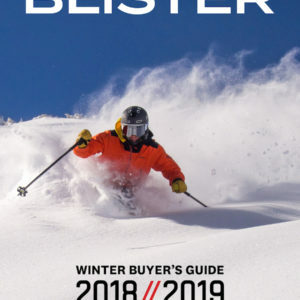 The Crop Duster’s flex pattern, combined with the sheer overall size and rocker pattern, meant that even in deep, light snow, the ski provides a tremendous amount of support through the center and front of the ski at any speed. And they do this while still being easy to maneuver and control at slower speeds, which is not an easy task to accomplish. 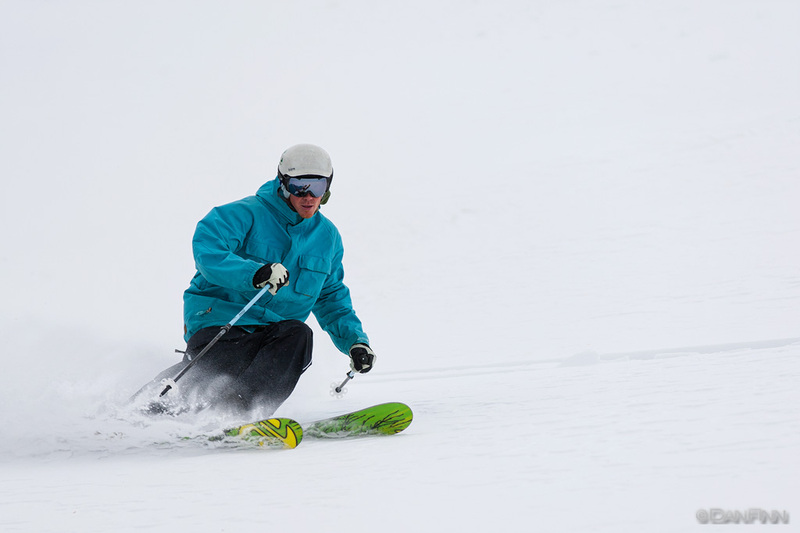 All this float and support from the front half of the ski also translates to being able to build trust in the skis; they are not easily hung up by deep spots or areas of higher density snow, and allow for a more traditional forward stance, even with the nearly centered mounting position—which also adds to the ease of maneuverability. While the shape and flex of the ski definitely leads to some exceptional powder skiing that permits basically any type of turn shape, from quick turns to long-radius smears, there are a few tradeoffs in performance that I found when trying to push the ski’s envelope beyond the traditional left and rights. When trying to lay down a hard slash on a rollover or drift, it was easy to overpower the tail of the ski, whether by sheer force or by a change in snow density. This immediately threw off my balance slightly, positioning my weight further back, sticking the tails deeper into the snow and making the move much more difficult. Of course, this can be remedied by coming into the slash farther up on the ski, but it still requires more concentration on stance in comparison to riding a ski with a more evenly balanced flex pattern like the Atomic Bent Chetler, Line Opus, or even Rossignol Squad 7. 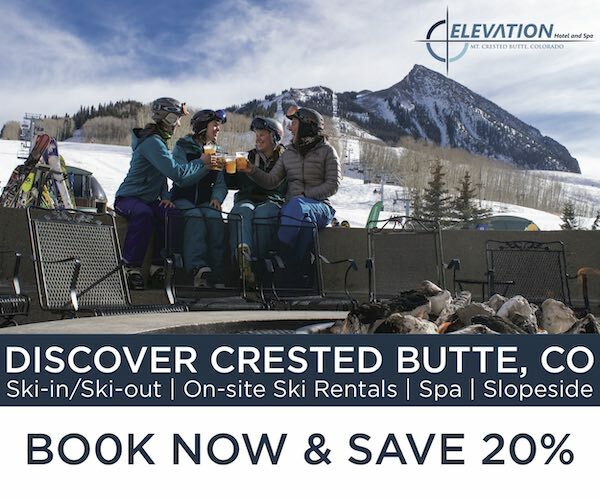 The same sensations could be elicited from the ski when trying to scrub speed after a drop into a steep, tight section in Eagle’s Nest, or when trying to quickly slow down from eye-watering speeds on an open face like lower High Rustler. Smearing the skis aggressively at high speed overwhelmed the tail and created balance and control issues. The best coping mechanism I found for this situation, obviously, was to scrub speed less aggressively, with smoother long-radius turns. Of course, this isn’t always possible (read: tight spots), and in those circumstances, I just kept the limitations of the ski in mind, trying to minimize speed gained through a move, and working hard to stay balanced over the sweet spot when quickly shutting it back down. Again, because of that soft tail, while skiing switch in powder, it was also easy to fold up that area of the ski if I tried to crank a switch pow turn, hit a section of higher-density snow that forced my center of mass to subtly shift toward the rear of the ski, or when attempting to stick a switch landing in less then ideal landing zones (i.e. awkward transition or funky snow). 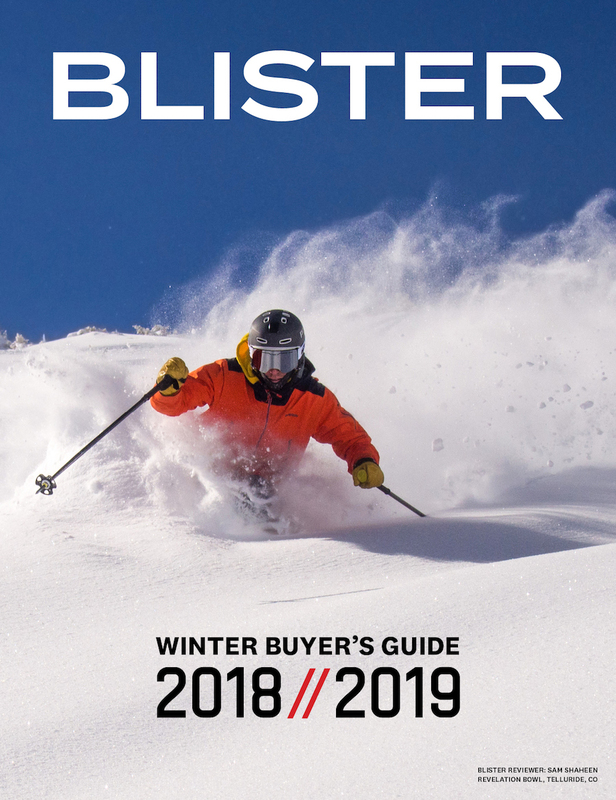 After all of my testing on the Crop Duster, I’m inclined to think that the more jibby or powerful your skiing style, the more likely there is a different ski out there better suited for that style. Again, I think Jason has delivered a great review, and I tend to agree with everything reported. We also reviewed Bill Wanrooy’s EpicPlanks Crop Duster this season, and found it to be a ski to make a huge population of new and experienced powder skiers very happy. I agree the ski’s soft tail might not make it the first choice for hard-chargers or big air-droppers, but it is definitely a ski you can just get on and feel at home with without any learning curve, and it’s manners are suitable for a wide range of skiers. Bill has spent several years developing this ski in conjunction with heli-tour guides and customers, and it is a ski he should be proud of. Quality seemed really good on our test pair, and the personality of the ski grew on us more and more over a couple months of testing, even in less-than-stellar snow conditions here in Vermont. Another fun ski from a small designer/builder !